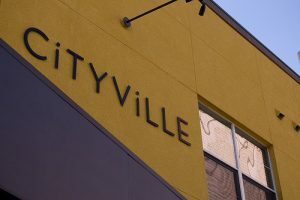 Does Cityville Take Social Games Seriously? Early last week, Zynga announced the release of their newest social game called Cityville. It’s one of a growing number of city-building games on Facebook. Others include Tiny Town, My Town, Towner, Social City, YoVille, Bubble Island and Tiki Resort. Cityville resembles the classic city building game SimCity, at first glance anyway. However doesn’t require you to build and connect power lines. It lets you create and manage a city from scratch by building roads, homes, schools, parks, restaurants and other businesses. There are no taxes in the game, but you’ll make money by trading goods with other cities and collecting rent. For almost a year, Ayogo has been kicking around the idea of a city building game that took the whole genre more seriously. We think that a collaborative, social, city simulation is the perfect environment in which to stimulate and educate about the relationship between urban living and ecology, between density and energy and, most of all, between responsibility and hedonism. We know that Zynga won’t be interested in having that conversation, but we sure are.